Data is the oil of the 21st century - are you keeping yours safe and protected? Doc examines legislative process behind the EU data protection reform, which is coming into force next Spring - watch it now online and make sure your valuable personal personal data is cared for! Each and everyday our online footprint grows. Most of us produce an extensive amount of information online every single day (in the shape of emails, social networking interaction or simply our browsing history). Companies such as Google and Microsoft are very keen to access this data, and it isn’t always for noble purposes. Democracy investigates what the EU is doing in order to protect our personal information. 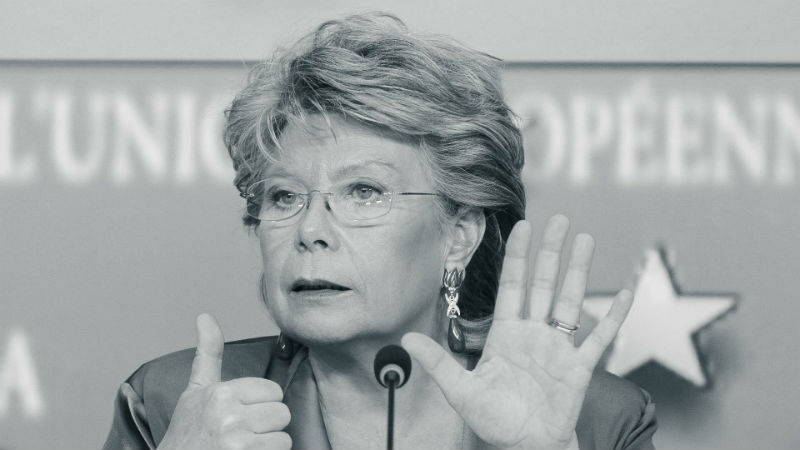 Back in 2012, the European Commissioner for Justice Viviane Reding (pictured below) and the Green German MEP Jan Philipp Albrecht (pictured above) joined forces in order to reform the data protection laws in light of the digital era. Reding is adamant that “personal data belongs to the person”, and the young and energetic Albrecht takes a passionate stance against the erosion of our personal freedoms and civil rights. Unlike Theresa May, who has a history of contempt for personal privacy. The EU Parliament and the European Council finally agreed on the legislation on December 15th of 2015, and the new laws will be implemented next Spring. 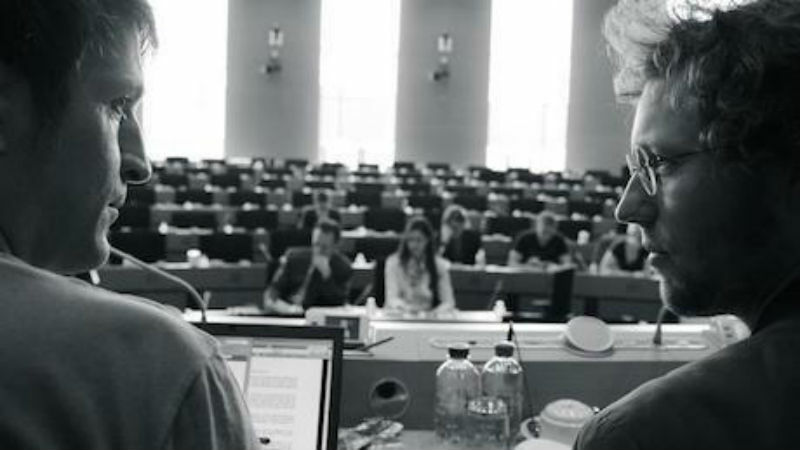 This European doc takes an insightful look into the three-year legislative process. It’s both an interesting peak into EU lawmaking and a useful lesson on privacy issues. For example, you will learn about the difference between “singling out” and “identification”, the uses of data mining, the repercussions of data leaks and compliance with fundamental rights outside the EU. Sounds boring? Don’t worry, Democracy takes a lighthearted approach to the subject. Interviews are intertwined with parliamentary sessions to didactic yet engaging results. The only downside is that the entire film is entirely in black and white, and I’m not entirely sure why. This would work fine for an art movie, but it feels a little awkward for a more informative and straightforward piece such as this one. The reverberations of Edward Snowden’s NSA leaks are one of the most interesting topics of the movie. On one hand, the EU didn’t quite react with enthusiasm, concerned with the security of its very own data. On the other hand, the leaks also raised awareness that data can be used as a weapon, and triggered both governments and individuals to think information security more thoroughly. Love or hate him, Snowden was a game-changer. It’s vital to note that, with Brexit, the UK may no longer be subjected to these laws, which could make the country extremely vulnerable to US corporate interests. Data privacy laws are very relaxed in the US, where an individual’s criminal and even health records are often publicly available or stored in databases with little to no protection. Don’t get lulled into complacency – watch Democracy and join the debate around data privacy. This is not a doc answering to corporate interests. This is a doc that vouches for your interests as a citizen. The film has been released as part of the Walk This Way collection in October 2017. You can view it on all major VoD platforms, such as iTunes and Amazon.